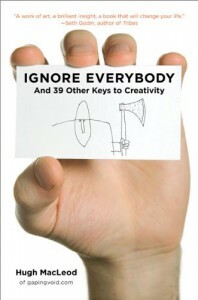 It is mostly a common sense advice book for creatives: do your think, work hard, keep your day job etc. Probably the wisest advice is the idea that there is no relationship between stationary accessories and your (creative) work. You won't write like Hemingway, Proust, [insert other famous writer's name] only because you have a colorful notebook and a 1.000 $ pen.